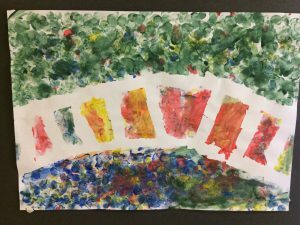 In 4th class we've been taking a look at works by the famous impressionist artist Claude Monet. Monet liked painting outdoors using the light and atmosphere to influence his paintings. He often painted the same scene over and over. 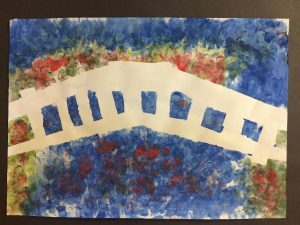 We took a look at one of his famous paintings "Bridge over a pond of lilies". Here is our work based on his painting.